This post is for those of you who wake up in the morning and remember that you have more than one child (not that you could ever forget). This post is for the moms who are homeschooling one, diapering one, carrying one, and wondering if you’ll have another one…crazy, I know! Well, I’m right there with you. My homeschool journey started with a kindergartener and an infant…I understand. Early on, I realized that I not only needed to make good use of any “spare” time I had, but also had to get the older child to the point of being able to work on her own. Have I made it there? Yes. How? It was a lot of work, but I had some help. Details? Sure! Here you go. Start early. Establishing independence in a child at a young age is necessary. Think about it. We can’t wait for them to be able to sit up on their own. We can’t wait for them to be able to hold their bottles and feed themselves without assistance. We can’t wait for them to start walking without aid. You get the point. We must also realize our children won’t become independent without teaching our children how to do so. They won’t get reach that goal without being taught. Ask for help. For me, teaching my child to become independent became a family and friends affair. I understand not all of us have that type of support, but if you do, please use it! I asked for tips, opinions, books, websites, sermons…anything that would remotely help me learn how to help my children become more independent learners. Did everything work? No. Was everything I tried a good fit for our family? Not so much. Yet, I took what worked and tweaked it as needed. 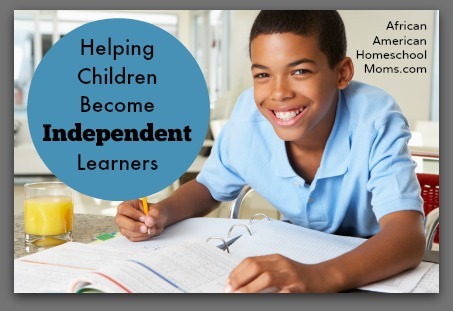 Look for curriculum that encourages independent work. This is important. You may have a curriculum you absolutely love, but if the preparation and teaching time it takes causes you to wonder where the day went it may be time to do some tweaking. If you are not able to switch curriculum right now, consider creating a checklist or an assignment sheet for your child to use. Some parents even use Evernote and other apps to help with their children’s assignments. It may help to start your day with a Morning Meeting where you do an overview of what’s to be done that day and then go from there. LET THEM DO IT! Independent learning does not mean our children will slip into anarchy or mutiny. Trust me! I still remember the first day that my oldest completed her schoolwork and chores on her own. I almost cried when I realized just how much we were able to accomplish because we executed the plan my family had created. Yes, I was still tired and wondering if all this would work the next day, but for one day we did it! As the days passed, I tweaked the plan as needed and today, we’re still using this plan. All I had to do was trust in my child and in the plan. Set up an incentive program. This can be a Catch 22, but I have found setting up a reward system to be very helpful. Yes, independence has its own rewards, but it’s also beneficial to give our children additional rewards for completing tasks. Remember, rewards don’t have to be monetary. Once you come up with an incentive program, sit down and discuss it with your child so the expectations are clear. If you’re interested in helping children become independent learners, I encourage you to give these ideas some serious thought. Our children may not do it 100% right the first time or all the time, but we should keep trying and continue moving forward. As they learn, we can use these teachable moments to help our children grow. It’s worth the struggle! 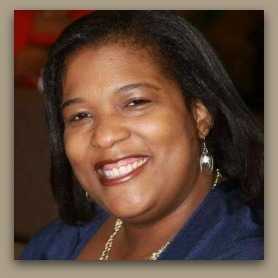 Today’s post was written by Tammie Polk. She is first and foremost a Daughter of the King! She and her husband have been married since 2005 and call Memphis, Tennessee home. They are blessed to be able to homeschool their three daughters, who are the joy of their lives! Tammie is a blogger, mompreneur, writer, singer, board game creator, and a computer geek by birth! She is overjoyed at any opportunity to share what she’s learned and gleaned in her homeschool journey. You can connect with Tammie through her blog, Atkah’s Choice or through Facebook! May you enjoy your journey as a homeschool mom and keep charging!